KAMPALA – The newly appointed chairperson of Parliament’s Committee on Commissions, Statutory Authorities and State Enterprises (COSASE) Mubarak Munyagwa is in trouble after the Anti-Corruption court issuing summons for him to present himself to answer numerous related corruption charges involving about Shs100million. Munyagwa had been expected to turn up today February 15 in court before the chief magistrate Pamella Lamunu but he never appeared not even his lawyer. Prosecution’s Alice Komuhangi told court that criminal summons were issued to the legislator to appear in court but she was not sure to whether he was served since there was no affidavit of service nor any response from parliament which they had dully served with the same hoping to give it to Munyagwa. Prosecution states that in the month of December 2014 at Haks Investment Limited, Munyagwa being a Mayor Kawempe Division solicited for a gratification of Shs100m from Francis Kakumba in exchange for him to exert improper influence over Kawempe Division Urban Concil to nominate Muyanja Isaac ( S/O Francis Kavuma) for appointment as a member of Kampala City Land Board representing Kawempe Division. It is also alleged that Munyagwa in the same year received a gratification of $ 20000 an evaluate of about Shs73 million from Kakumba in exchange for him to exert improper influence over Kawempe Division Urban Council to nominate Isaac Muyanja (S/O Kakumba). 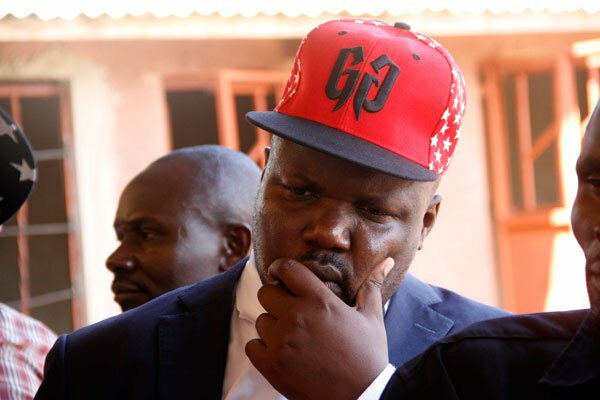 Its further stated that Munyagwa received a gratification of Shs4 million from Kakumba in exchange for him to exert improper influence over the Kawempe Division Urban Council to nominate Muyanja (S/O Kakumba) for appointment as a member of Kampala City Land Board representing Kawempe Division. Munyagwa’s criminal summons have now been extended until March 6 for plea taking as sought by state. However, Mr Munyagwa’s lawyer the Kampala Lord Mayor Erias Lukwago appeared later when the case had been adjourned but he was told to discuss with the prosecution on the update of the case.